Bird & Bird Szepietowski i wspólnicy sp.k. Piotr Dynowski is a partner and head of the IP, Media, Tech & Comms practice at Bird & Bird's Warsaw office. Piotr is an attorney-at-law (radca prawny). Piotr is one of the leading intellectual property experts in Poland. He advises on a wide range of contentious, commercial and regulatory matters in the most innovative sectors of the economy, such as pharmaceuticals, electronics, media, entertainment, sports, advertising, IT and telecommunications. In particular, Piotr supports clients in developing and implementing comprehensive pre-trial and litigation strategies for the protection of intellectual property, and represents clients at all levels of proceedings before common courts, administrative courts and the Polish Patent Office. He has represented clients in many multi-million euro and precedent-setting disputes. He supports clients in business transactions related to transfer and acquisition of intellectual property rights as well as in matters related to media rights, image rights, sponsorship, merchandising and licensing. Piotr's clients include broadcasters, advertising and media agencies, publishers, organisers of mass events, sports federations and athletes. He also advises on all aspects of gaming law, in particular online gambling and betting, social gaming and e-sports. His expertise covers licensing regimes, regulatory issues, as well as advertising and provision of B2B services to gambling operators. As an expert in Polish gambling law, Piotr frequently speaks at events such as World Gambling Briefing or ICE Totally Gaming. Piotr is a lecturer at the Hugo Grotius Intellectual Property Rights Centre in Warsaw, and at the Jagiellonian University in Cracow. He was awarded Legal Rising Star 2012 by LexisNexis and Dziennik Gazeta Prawna, ILO Client's Choice Award – Poland Patents 2015 and Managing IP - IP Star 2014 and 2015 and Patent Star 2016 and 2017. 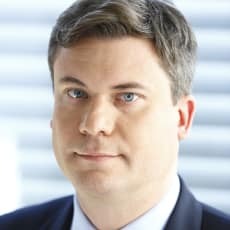 He is a legal expert to the Polish Chamber of Commerce and the Polish Chamber of Information Technologies and Telecommunications, and a member of INTA, AIPPI, ECTA, PTMG, Marques and IMGL.